news Apple supremo Steve Jobs today promised “worldwide availability” of the company’s new iPad tablet computer within 60 days, meaning Australia could potentially get the device before April. However, unlike Apple’s US web site, Apple Australia’s web site has not been updated with details of the iPad, and Jobs did not specifically mention Australian availability during the presentation. Additionally, customers at that point (within 60 days) will be limited to buying iPads without 3G connectivity; the only option for using the devices to access wireless broadband will be through WiFi (the iPad supports the 802.11n standard). “Within about 90 days we’ll be shipping 3G models,” said Jobs during a press conference in San Francisco this morning to reveal the much-hyped device, which has been the source of constant speculation for the past few months. “Internationally,” Apple hopes to have signed deals with telcos “in the June/July timeframe” for 3G mobile broadband plans. The device does support the 850Mhz mobile frequency, so it is likely to work on Telstra’s Next G network, which some mobile devices have not been configured for in the past. In the US Apple has inked what Jobs called a “breakthrough” deal with AT&T to offer 3G plans for the iPad with 250MB of monthly data included for US$14.99 per month and unlimited data for $29.99 per month. Unlike the iPhone, which was sold locked to individual carriers (Optus, Vodafone and Telstra) when it first launched in Australia in mid-2008, Apple iPads will ship unlocked and use the GSM micro-SIM format. “If your carrier uses micro-SIMs, there’s a very high likelihood it’ll just work,” said Jobs. Apple has not yet disclosed Australian prices for the iPad, but the 16GB model will sell for US$499 without 3G and US$629 with 3G, the 32GB model for US$599 without 3G and US$729 with 3G and the 64GB model for US$699 without 3G and $829 with 3G. A pure currency conversion puts the range at between AU$558 and AU$926, but technology goods often receive a markup when being sold in Australia. Apple Australia issued a statement this morning noting international pricing and worldwide availability would be announced at a later date. 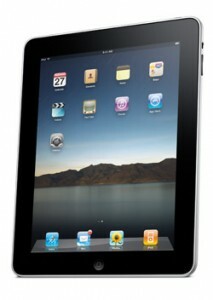 The Wi-Fi version of the iPad “will be available in late March worldwide”, while the 3G model will be available in the US “and selected countries”. The company also noted the iBookstore feature would “be available in the US at launch”, although it was unclear if this meant it would not be available in Australia. 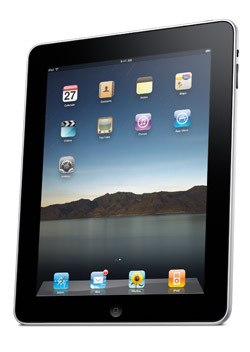 Further information about the iPad, including detailed specifications, partners and the user interface is available from multiple international sources online (Engadget, CNET, Gizmodo, GDGT). Note: This story has been updated with information from Apple Australia since first published.